The European Association for Biometrics (EAB) is the leading voice for digital ID & biometrics in Europe. We are a non-profit, nonpartisan association. The EAB’s mission is to tackle the complex challenges facing ID in Europe, ranging from migration to privacy rights. Our role is to promote the responsible use and adoption of modern digital identity systems that enhance people’s lives and drive economic growth. Through a series of EAB initiatives we support all sections of the ID community across Europe, including governments, NGO's, industry, associations and special interest groups and academia. Our initiatives are designed to foster networking and debate, whether at an EAB hosted event across Europe, or in providing impartial advice & support to individual members. We ultimately serve the citizens of Europe in the advancement of modern digital identity systems that are fair, accessible, secure & private. 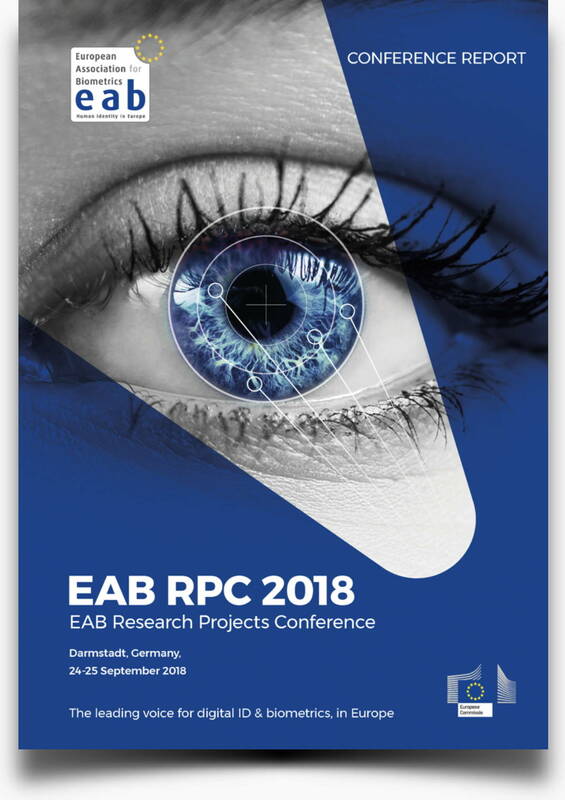 The European Association for Biometrics EAB has issued the EAB-RPC-2018 Conference Report following the conclusion of its Research Projects Conference 2018 in Darmstadt, Germany. Organized in collaboration with the EC-DG-JRC (European Commission-Directorate-General-Joint Research Centre) for the fifth consecutive year, the conference hosted 17 EU research projects with a combined budget of EUR 75 million. It also occurred at a time when several issues related to identity and biometrics, including the recent Facebook privacy scandal, the introduction of GDPR, and migration and border challenges, have taken on increased importance.